At Mirdifcitycentre.com, we are committed to protecting your privacy and ensuring that your personal information is handled in a safe and responsible manner. In order to use certain services provided on the site, you will need to register with Mirdifcitycentre.com. When you register, we will gather such information as your name, mailing address and email address, and demographic information. 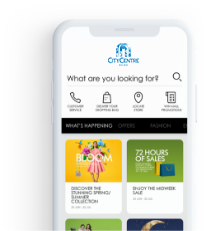 Mirdifcitycentre.com uses various formats of files to help manage online advertising. These files are provided by an outsourced media agency. These files enable us to recognize a unique cookie on your Web browser, which in turn enables us to learn which advertisements bring users to our website. The cookie was placed by us, or by another advertiser who works with us. With both cookies and Spotlight technology, the information that we collect and share is anonymous and not personally identifiable. It does not contain your name, address, telephone number, or email address. We may share user information with businesses affiliated with Mirdifcitycentre.com and Majid Al Futtaim Properties. They may use this information as we would, and you may occasionally receive product and service information from them. We may also use your information to deliver information to you that, in some cases, is targeted to your interests. If you do not wish to receive email from us, please let us know by sending an email to or writing to us at the above address. In the future, we may make our email address list available to carefully screened companies whose products may be of interest to you.If you prefer not to receive email from other companies, please let us know this as well. Mirdifcitycentre.com uses industry standard technology and efforts to safeguard the confidentiality of your personal identifiable information. These include secure servers and firewalls. All of the user data we collect is protected against unauthorized access. Only authorized employees who need the information to perform a specific job are granted access to this information. By using the Mirdifcitycentre.com website, you consent to the collection and use of the information described in this policy.